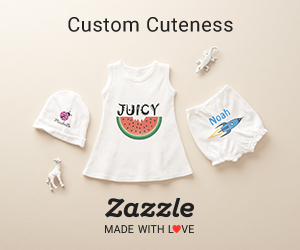 Tired of the standard and regular jungle animal theme and games? 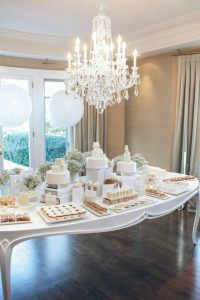 As a family member, friend or coworker of the mom-to-be, these unique baby shower ideas from actual baby showers will delight your guests and leave the expectant mom amused. After sending out invitations, it’s time to pick a theme! 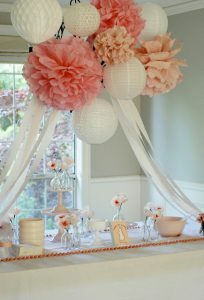 A baby shower theme will bring a greater sense of festivity and add color to the event. Creativity and thoughtful touches here and there can make the shower great. A simple but cheerful flower inspires an outdoor shower with some freshly picked decors, food, and favors. 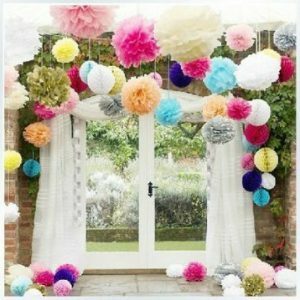 The below picture can be easily replicated in decor and favors, but not every detail needs to be flower-shaped. 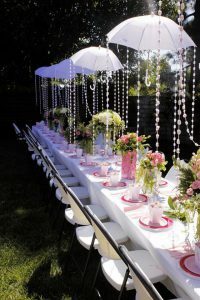 Hang umbrellas with string of garlands, simple clear vases with any decor you like, white table cloth with colored plates add some pop of color. Name tags for each guest would be recommended. 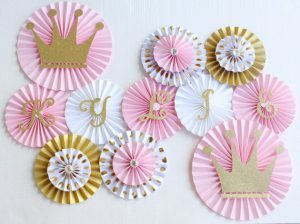 The child will delight in learning letters are the building blocks of an elegant party in honor of the mother-to-be. Add baby wooden blocks to each guest table as centerpiece, paper blocks can be added on each guest plate with their name on it. 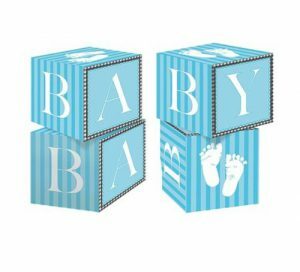 Make a bigger impact with jumbo baby blocks; wrap normal cardboard boxes with wrapping paper, cut out baby’s name and stick each letter per box. Not sure if it’s a girl or a boy? 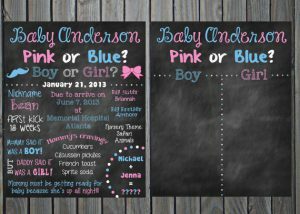 Get guests involved in guessing the baby’s gender! 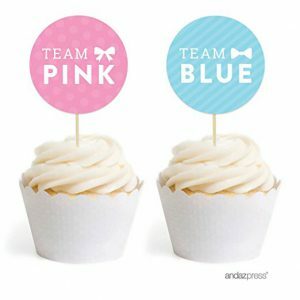 There are so many gender reveal parties these days, seems like everyone wants to be surprised. Let each guest pick on what team they want to be in, and then create games around it. Gift favors are always a good idea for the winners. The days of blue and pink showers are long gone. In their place are some beautiful and fresh shower themes such as an all-white theme. An all-white is really sophisticated and fun, the Mom-to-be’s bump will really pop against an all-white decor. Another unique baby shower idea is going rustic with lovely wooden frames, tree-trunk candles, and fresh-picked flowers. The woodland baby shower theme is becoming very popular. Double the party to double the fun! Letting the dad-to-be celebrate with the men is a sweet twist to the usual baby shower. Here is a perfect gift for the dad-to-be. Everyone loves this t-shirt! To make your guests feel lost at sea, try a nautical shower theme. Dress up any indoor fortress or outdoor patio with knickknacks to achieve this. 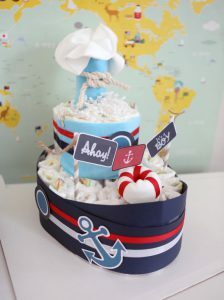 Check out my post on nautical baby shower for more ideas! If you choose not to have a theme, keep the decor bright and avoid pastels. Flowers are expressly suitable for a celebration of birth. Remember to keep decorations to a few: All attention will be centered, anyway, on the belly of the expectant mother. Horror stories in baby showers are usually as a result of complex yet tasteless finger foods. 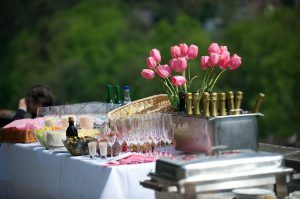 Rich foods set the right mood for any event especially the celebration of the start of a new life. Reduce last-minute works to the barest minimum. Choose easily prepared foods that can be eaten at room temperature, for example, homemade pizzas, grilled chicken salads, cheese and vegetable tarts, green or fruit salads. There is no shame in a potluck, especially if each guest can bring a dish for which her local gourmet store is famous. Traditional baked foods and egg strata conjure up memories of childhood meals. The recipes can be transferred onto keepsake recipe cards for the mother-to-be and guests to take home. More on food to serve at a baby shower. Though gift opening is the main crux of the event, interesting games can as well liven up the event. 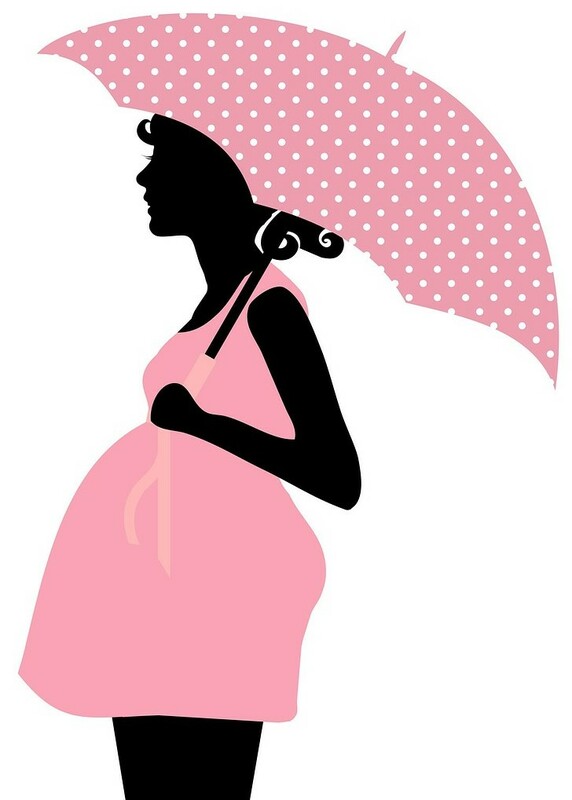 Letting the games flow with the theme (for example, bingo game in a polka-dot themed party), can serve as a way to educate the expectant mom, as well as provide entertainment. A baby shower with polka dots as the theme guarantees plenty of fun to go around. 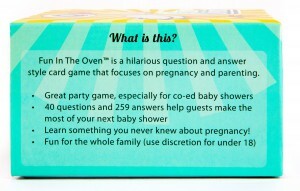 Check out also games section for best baby shower games and easy printable baby shower games. 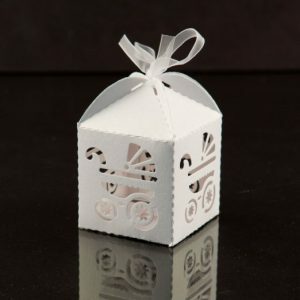 You can also ask guests to write their favorite names for girls and boys paper strips that are dropped in glass jars for the parents-to-be to consider. This can be the first game they do when signing their name on the signing sheet. 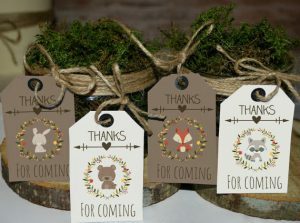 Don’t forgot the baby shower favors, here are some great cheap ideas. 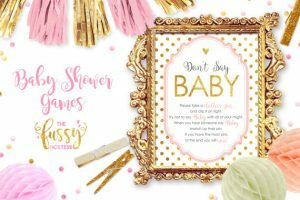 With these baby shower ideas, games, menus, decor and more, we’re positive the Mom-to-be will love everything you have planned for her baby shower — from the invitations to the cake! Need more inspiration? 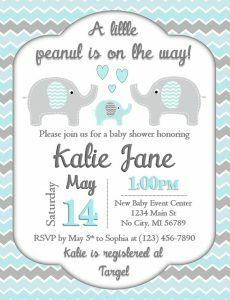 Find more unique baby shower ideas the following themes: Elephant, Cowboy, Tea Party, Fisher Price, Princess, Rubber Ducky. Check all of our themes in the theme tab. 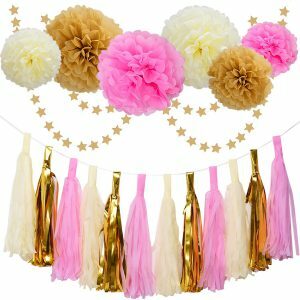 What are your unique baby shower ideas? This entry was posted in Ideas and tagged Ideas. 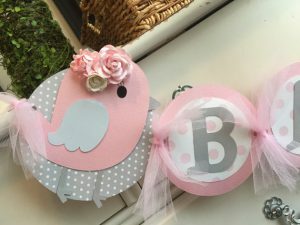 ← Cute Elephant Themed Baby Shower Decorations and More! Thanks for the super cute ideas for a baby shower! I love how soft and clean they all look. The menu I believe should ideally just be “light snacks” like cupcakes, cookies, and tea. The voting ballot is something unheard for me so I might try it next time. 🙂 I guess it’s better to end it by not revealing the real gender and just wait for the big day and see whose votes win! Thanks for reading my post. Gender reveal parties are more popular these days. It’s a good theme for co-ed parties.